American Shrinkwrap Company Inc – Everything You Need for Shrinkwrapping and More! Please note our local phone and fax numbers have changed. Everything You Need For Shrinkwrapping - When You Need It! 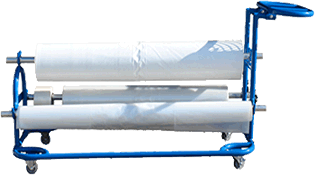 American Shrinkwrap Company Inc. is a stocking supplier of everything you need for any shrinkwrap application. Our distribution center carries a full inventory of Shrinkwrap, from 12' to 40' wide, along with a full inventory of shrinkwrapping supplies and accessories. We have all your shrinkwrapping needs in stock and ready to ship the same day*. Through innovative concepts and a superior standard of customer service, we remain the leader in the protective products industry. *Order before 2PM EST for same day shipping on all items.